Acne, a chronic inflammatory skin condition, is characterized by blackheads, whiteheads, pimples and deeper lumps that occur on the face, neck, chest, back, shoulders and upper arms. From blackheads to cysts, breakouts can be a major factor in self-image issues. After reluctantly rolling out of bed in the morning, many adolescents meet a mirror to what can be an aggravating revelation of painful red bumps or small black and white spots, that somehow emerged overnight. Although she once felt isolated, Maly is one of 50 million Americans who endure acne — making it the most common skin condition in the United States, according to the National Institute of Arthritis and Musculoskeletal and Skin Diseases. Acne is also classified as a skin disease affecting the skin’s oil glands that are connected by follicles to pores under the skin. Oil from the glands can carry dead skin cells through follicles to the skin’s surface, most commonly causing acne growth on the face, neck, back, chest and shoulders. Cystic acne occurs when follicles become clogged and eventually rupture. Adults and adolescents may also suffer from other types of acne including blackheads, whiteheads, papules, pustules and nodules. 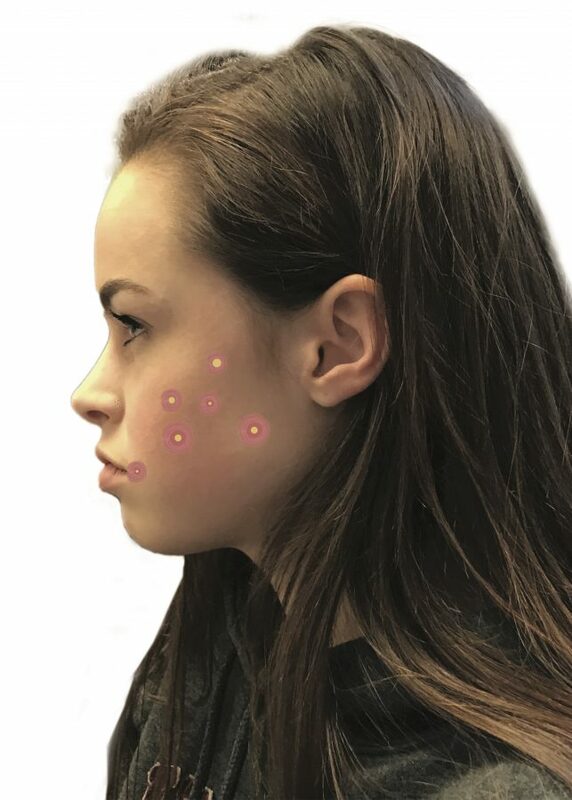 Although acne may be an issue throughout puberty and adulthood, adolescents particularly tend to be less compliant in following treatment plans created by their clinicians, according to Dr. Ella Toombs. Dermatologists suggest oral or topical over-the-counter or acne prescription drugs, with multiple treatments suggested to a patient depending on the severity of her condition. Despite a plethora of treatment options, some teens are unaware of the time and money placed into devising a specialized skincare plan and therefore become unappreciative, according to Toombs. “Teens are usually not the ones spending the money that medicine or office visits require, so they also might feel like they don’t have much to lose,” Toombs said. Approximately 85 percent of young adults between 12 and 24 experience at least minor acne, with national annual acne treatment costs exceeding $3 billion, according to the American Academy of Dermatology. The condition may also cause psychological issues such as poor self-image, depression and anxiety. Although younger adolescents struggling with acne may also suffer from negative self-image, self-confidence increases with age, according to Maly.